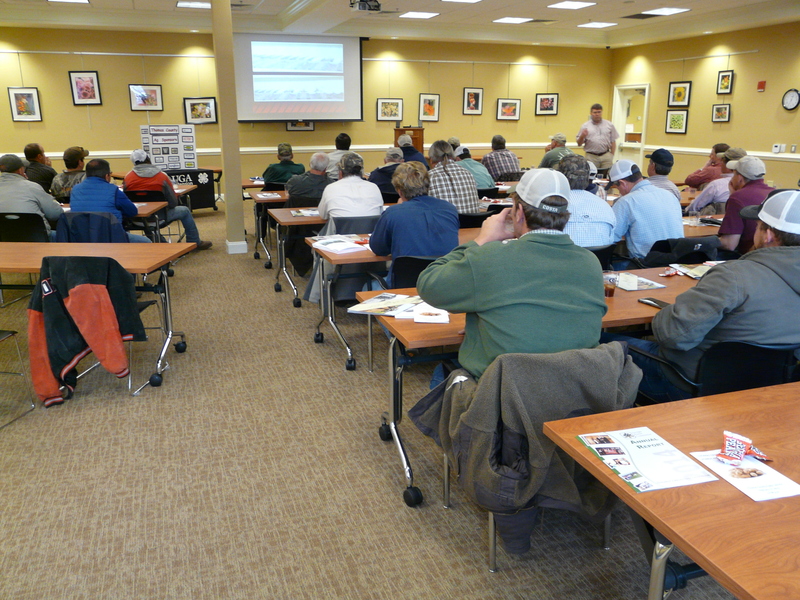 UGA Extension Corn Weed Scientist Dr. Eric Prostko gave a great presentation on corn weed control update. 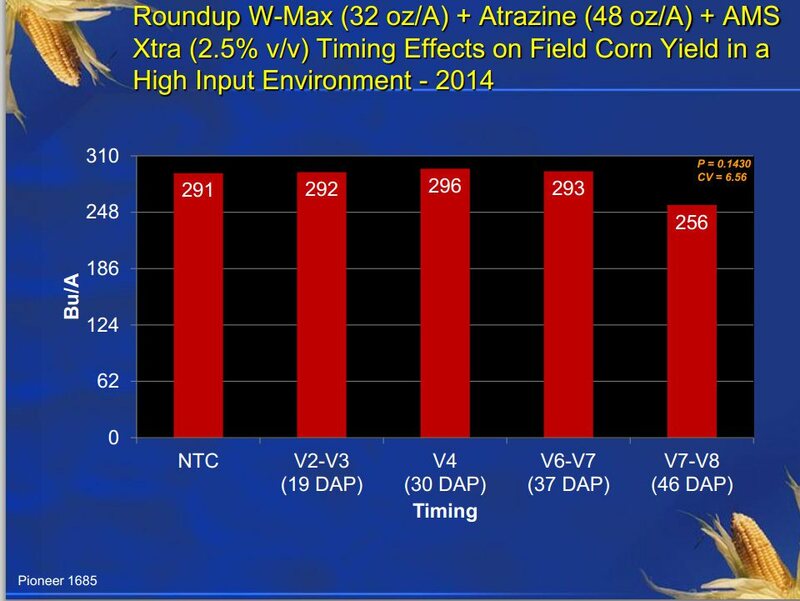 Here are some of Dr. Prostko’s thoughts Seminole County Ag Agent Rome Ethredge put together from the presentation. If you are ready to plant and have pigweed > 6 inches, park the sprayer. Get a mower/disk or bottom plow! Be careful when mixing many products and pre-slurry dry products in water. 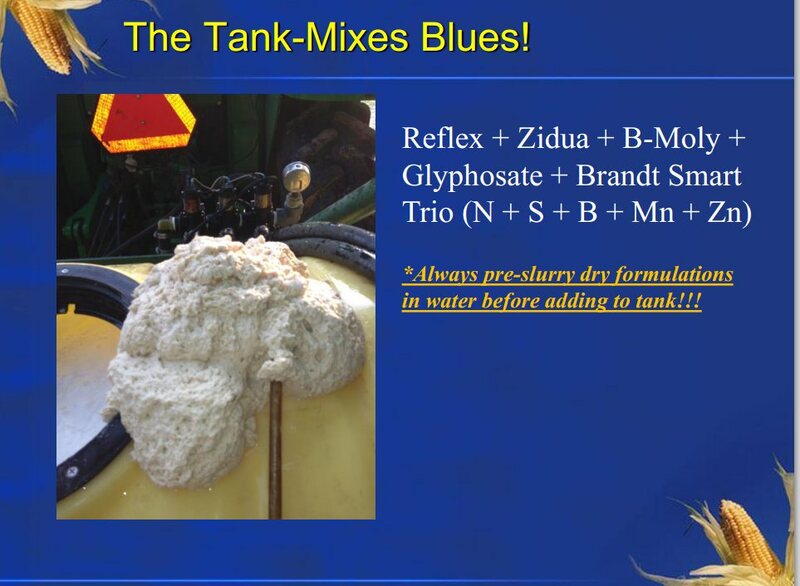 Do a jar test or contact your County agent about getting them to use a test kit for odd mixes. Many fruit trees require a certain number of hours below 45 degrees in order to break down growth inhibitors in their buds, allowing them to begin growth in the spring. The number of chilling hours required to break dormancy varies between and within plant species. Below is information from UGA Extension Pecan Horticulturalist Dr. Lenny Wells about chilling and pecans. Peaches may require as little as 100 chill hours to as many as 1200 hours. Like most tree crops, the required number of chill hours for budbreak within pecan varies by variety. Some studies have reported 300 to 500 chill hours were required for ‘Desirable’, ‘Mahan’, ‘Success’ and ‘Schley’ budbreak, while ‘Stuart’ required from 600 to over 1000 hours. Pecan budbreak will occur with fewer than even 100 chill hours, but this may lead to uneven bud-break, and subsequent problems with pollination. The chilling requirement for pecans can vary with fall conditions. If trees are exposed to cooler fall temperatures (less than 34 degrees), the number of chilling hours required for budbreak increases. Therefore trees of a single variety growing in areas with warm falls and winters would require fewer chill hours than the same variety growing in a colder climate. Buds on the ends of branches, called terminal buds, tend to have a lower chilling requirement than lateral buds, or those which run up and down the shoot. Therefore, in years following cold winters, the tree will theoretically produce more shoots and potentially more nuts. It is actually the variation in budbreak that appears to be more sensitive to chilling than is the actual timing of budbreak. Thus, the main consequence of warm winters with low chill are usually a sporadic, staggered, and non-uniform budbreak. The onset of new pecan growth in the spring is actually regulated by an interaction of both chilling and heating. Of the two environmental factors, it appears that heat units in the spring, rather than winter chill units, are the more limiting to the growth of pecan. Under conditions of high chilling, minimal heat is required for spring budbreak, allowing the tree’s shoots to begin growing as soon as possible. When growth does begin, it moves rapidly. This increases the likelihood that the fruiting cycle will be completed within a relatively short period. Pecan production requires an average seasonal total of over 555 hours of temperatures above 65 degrees F.
A common observance is that the pecan is generally the last deciduous tree to break bud in the spring. This results from its relatively high heat unit requirement for bud-break. 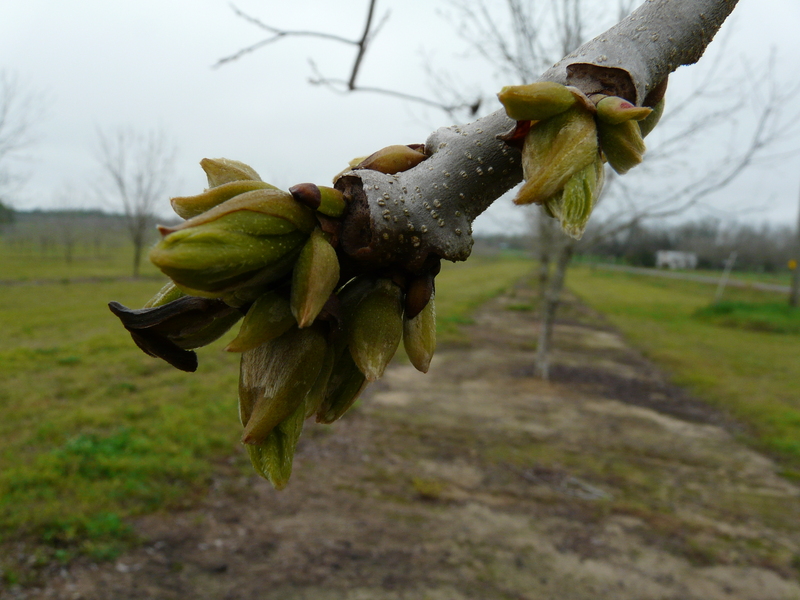 Pecans are sometimes damaged by late spring freezes, even in the southern regions of its range. But, since cooler spring temperatures delay bud-break, allowing the tree to ease into warmer conditions, late freeze damage is not a regular occurrence. So, what can we expect this year? We’ve had a lot of chill hours this winter. Across the state the chill hours number from over 1000 in the middle Georgia area to nearly 700-800 along the Florida border. In all cases, we’ve already accumulated more chill hours than we’ve seen in several years. We can accumulate a lot of heat units quickly in South Georgia. If its a warm spring, we should have an early bud-break. If its a cool spring, bud-break will be delayed. But, once it does start to warm up, bud-break should occur rapidly and evenly. One thing to keep in mind about the early arrival of cold temperatures last November is that normally leaves will move nutrients and carbohydrates back in to the tree as the leaves senesce in the fall. We had a hard freeze in mid-November when many orchards still had green, healthy foliage. Within just a couple of days after the freeze, the leaves were on the ground without having an opportunity to finish their job. As a result, trees could potentially be heading into the spring with insufficient carbs and nutrients. The first flush of foliage each spring is fueled by nitrogen stored within the tree and the tree does not begin taking up N until a couple of weeks after bud-break, which is why we normally recommend fertilization at that time. But this year, because the trees may not have the nutrient or carbohydrate supply they normally have, growers may need to consider applying N a little sooner, either just before or at bud-break. Remember the importance of Soil Sampling. Do not ignore deficiencies or toxicity problems. They will cost us yield and profit. This will be more of a problem where we are renting new land and may not know much of the rotation or fertility history. Remember that if you are growing Georgia-12Y, it is susceptible to Rhizoctonia Limb Rot. Adjust fungicide programs accordingly. Germination Issues: Growers should consider saving about a pound of seed out of each lot they plant. The sample can be used later to help diagnose potential germination issues. The samples will need to be kept in a cool place until plants stands are assessed. 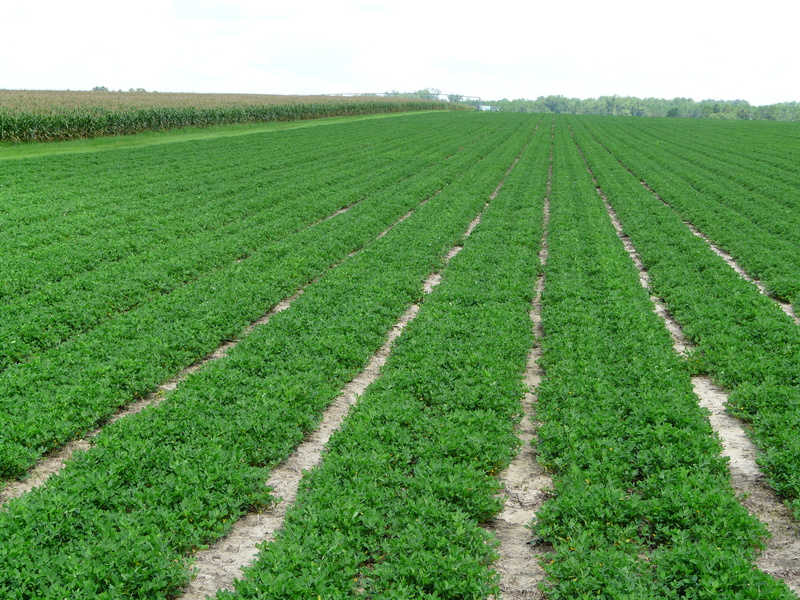 After stands are assessed, the 1 pound samples can be used for germination tests or properly discarded. Do not plant in April until 4 inch soil temperatures reach 68 degrees for 3 to 4 consecutive days with no severe cool snaps expected within 5 days. Clean and calibrate in-furrow equipment for inoculants and insecticides before planting and keep a check on them as they progress through the planting season. 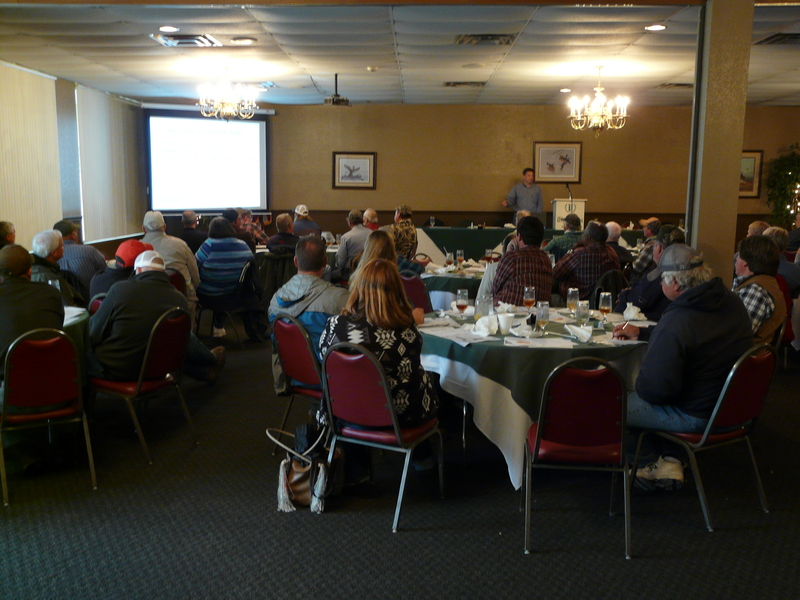 We are getting closer to think about treating ponds for weeds as we approach spring. If a pond is infested with a particular weed, it is generally recommended to clean out the weeds with a herbicide application. Sometimes it may take more than one application. Then we will follow with stocking the pond with grass carp. Grass carp can help with many weeds, but may not help with all weeds. Grass carp help maintain smaller weeds, but will not eliminate a weed infestation. 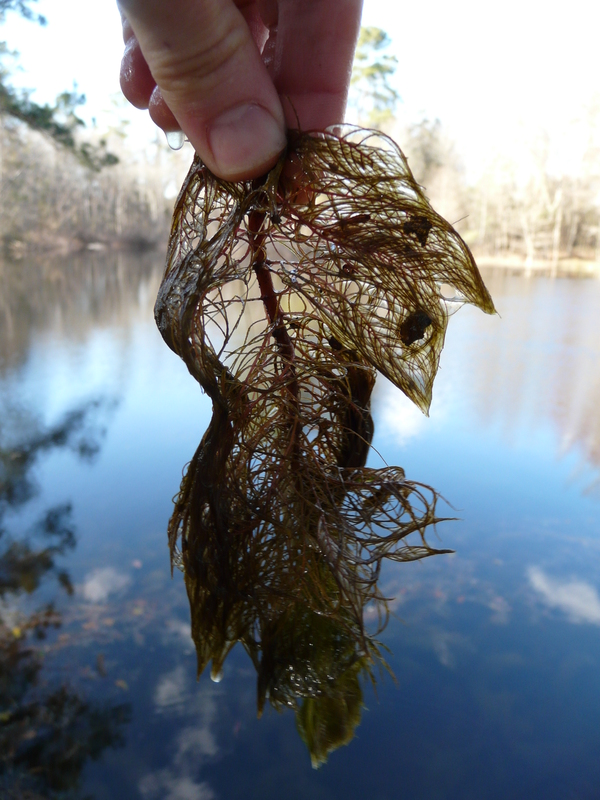 I was asked to look at a common pond weed last week which turned out to be watermilfoil. Watermilfoil is a submergent, perennial weed that has reddish stems that can be branched and two leaf forms. All leaves are in whorls of four to six. The submerged leaves are feather-like and flaccid. This is what we observed. UGA Extension Aquaculture Specialist Dr. Gary Burtle says both liquid and granular herbicide formulations can be used to control water milfoil. Diquat, 2,4-D, and triclopyr all have acitivity. However, with granular applications, 70 degrees water tempuerature is needed for good results. 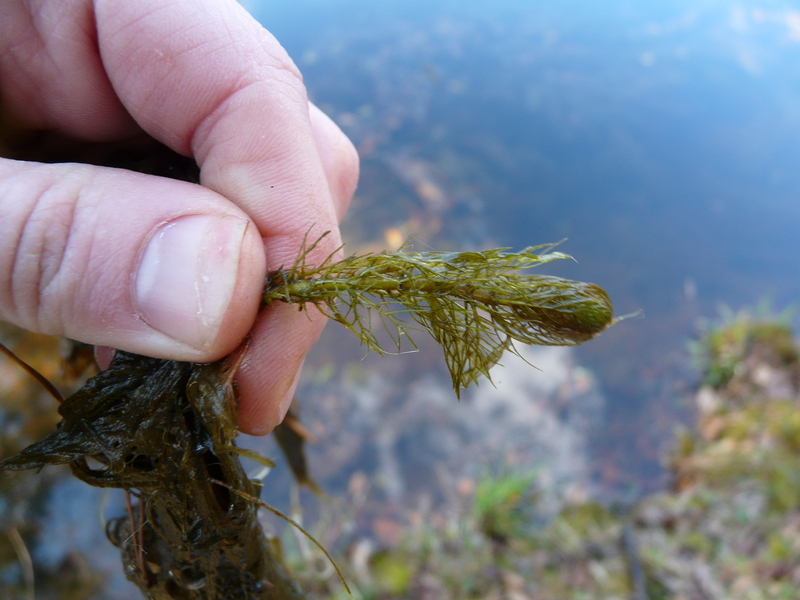 Here is some more information on Variable-Leaf Watermilfoil. Chris Hurst with WPAX and I are beginning a weekly radio show called “South Georgia Pine Ag Update” that will be air each Saturday morning at 8:50 on WAPX 103.7FM and 1240AM. If your out in the county, it’ll be easier to pick up on FM. Tune in each week to hear the latest information on current crop conditions I see in the field as well as information from UGA Specialists. The first show will air this Saturday. First we will start with the thistle complex as it is often overlooked during the best time for control. 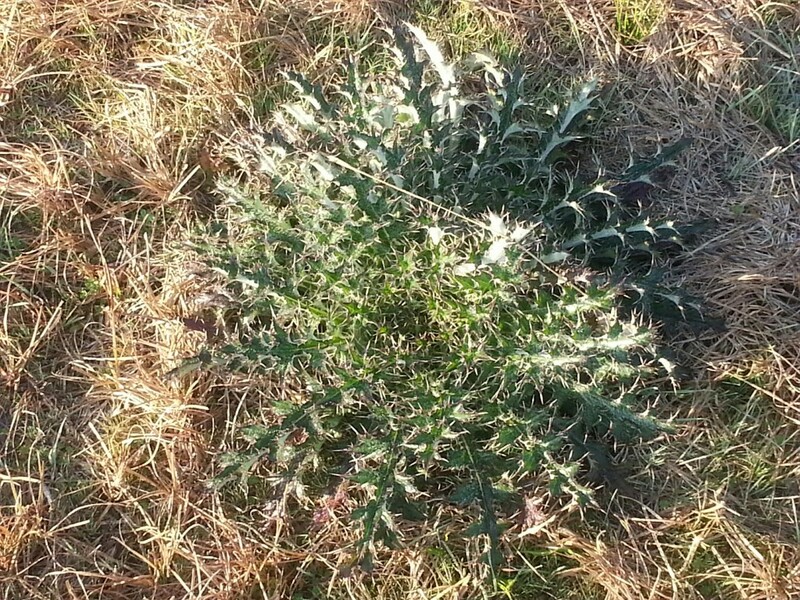 Starting in mid-January through mid-March, producers should scout for the presence of thistles in the rosette stage of growth. This is the stage of growth where the plant is low to the ground and grows outward from its taproot as a mass of leaves just above the soil surface. It is easy to drive by a hayfield or pasture and not even suspect the presence of thistles. The thistle complex consists of several different species but they are all treated as one complex. Timing is the most critical element in the management. When in the rosette stage, chemical control of thistle is much better than if the plants are bolting, or growing taller from the center. Also it is even harder to kill a thistle once it has begun to flower. It is beneficial to attack thistles during the rosette stage as it is susceptible to a broader range of cost effective herbicides. Dogfennel is also a weed that has substantial economic importance. Dogfennel can spread from its root stock causing larger groups that shade the desired forage and reducing yields. It is particularly troublesome in overgrazed pastures or areas where pH has drifted below desired levels for most grasses. Although dormant during the winter months, growth resumes and seed germinates as early as April and can grow to sizes that shade desirable forages in a few months. Although they are easier to scout than thistles, dogfennel requires the same timely approach for adequate control. When less than 20 inches tall, dogfennels are much easier to control and producers have a broader range of herbicides from which to choose. After they exceed 20 inches in height, some of the more cost effective herbicides become less effective and a more costly herbicide may need to be used for adequate control. Yesterday I looked at three triticale fields that are also grown for seed to check aphid presence. 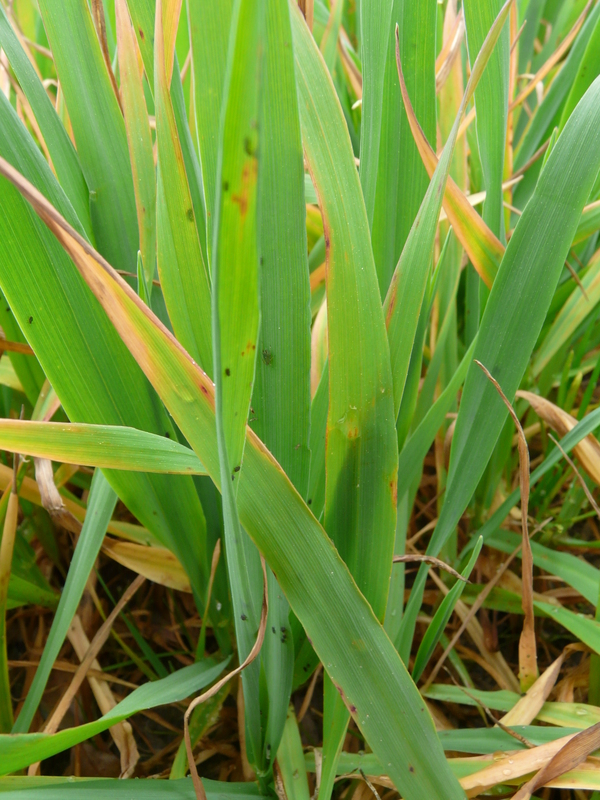 We’ve been talking a lot about the Barley Yellow Dwarf Virus (BYD) – a virus of small grain vectored by aphids. According to UGA Extension Grain Entomologist Dr. David Buntin, planting date is the most most important management practice of BYD. Small grain fields planted early (October 1-15) are more susceptible to BYD than later planted fields. 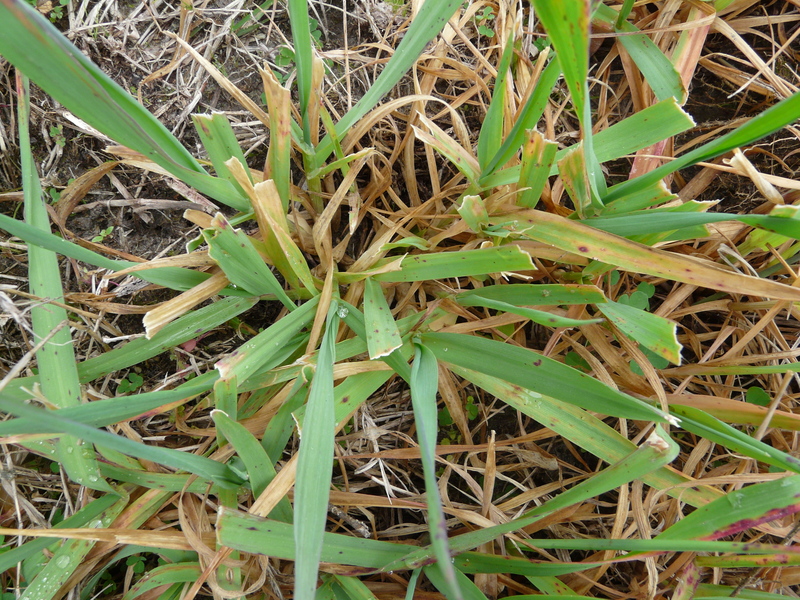 Of small grains, oats are most susceptible to BYD. If we’re growing for yield, seed, etc, we need to be aware of aphids. Generally, now is the time to apply insecticide for a treatment of aphids. Nonetheless, we still want to check for aphids 25-30 days after planting. There are about five species of aphids present in our fields: bird-cherry oat, rice root aphid, greenbugs, corn leaf aphid, and English grain aphid. 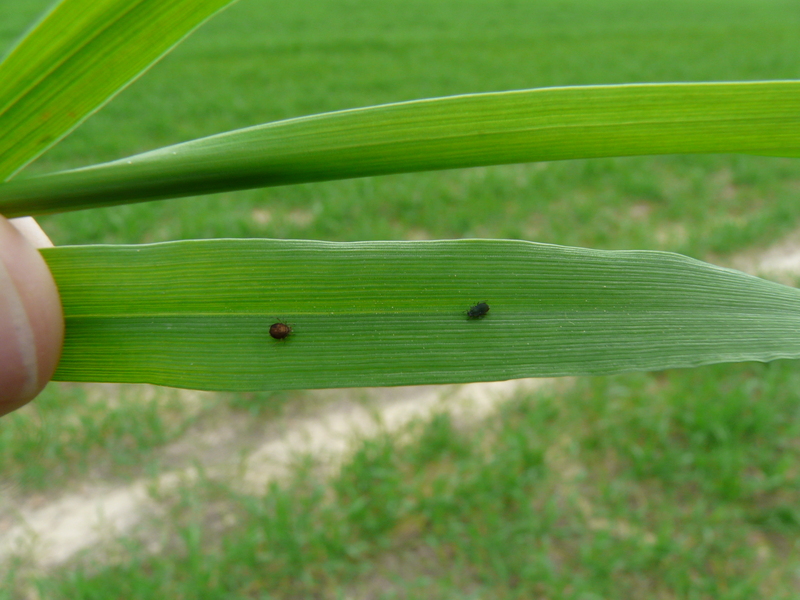 The aphids I am seeing are bird-cherry oat aphid and green bugs. 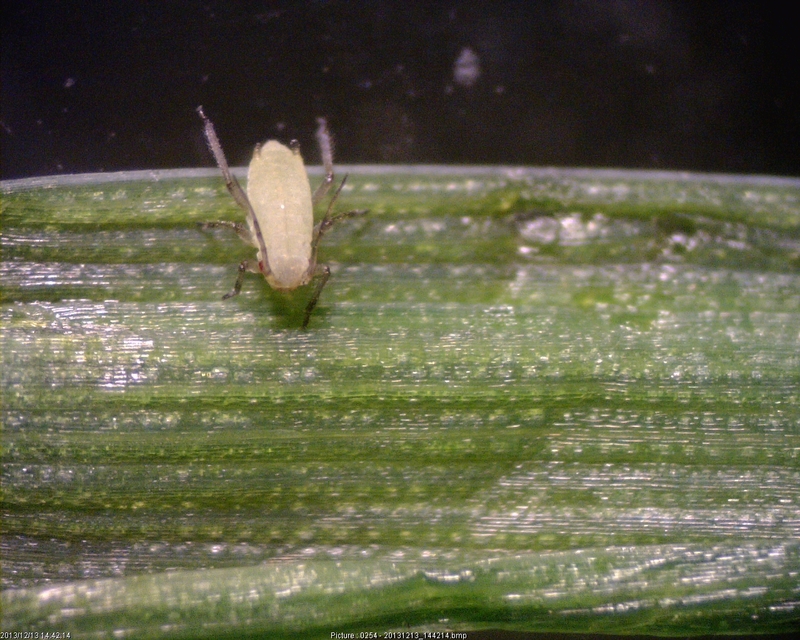 The bird-cherry oat aphids are the most common vector of BYD, even though any species can vector the disease. The green bug is the only species that can damage leaves. Although this is minimal damage, it shows up as small purple/red marks on the leaves (below). In wheat, our threshold of aphids during tiller stage is 6 per row foot. You can use this same threshold for other small grains. However, many fields were broadcasted, so check square footage instead. In all fields I checked I saw adult aphids and young, which means they are reproducing. I could also see aphids while standing up (usually I have to get down on the ground and hunt them.) I was also seeing many fat, red-orange aphid. This is a mummy aphid that was parasitized by a wasp (below, left). 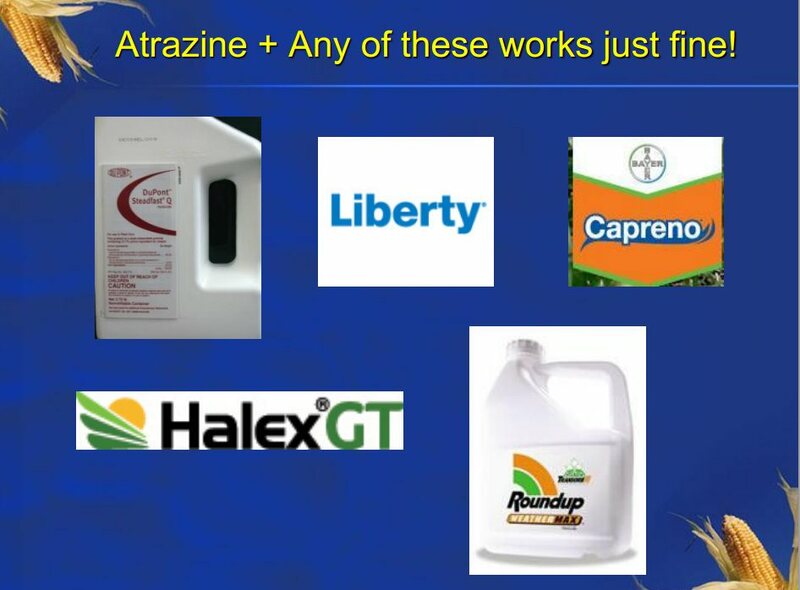 Paraquat Certified Applicator Training Required Before Applying Paraquat After March 8, 2019. (Culpepper/Prostko).